The geometric positions and postures seen in the hieroglyphs and temple walls of ancient Egypt are some of the earliest manifestations of yoga. Discover how practicing Kemetic yoga poses can profoundly affect your health, wellbeing and consciousness. As a boy growing up in the public housing projects on the Southside of Chicago, I was always fascinated by ancient stories of mythology, fantasy and warriors. I watched many programs about the wonders of the ancient world on public television. The most fascinating aspect of the ancient world for me had always been the mysteries of Egypt. From the first time I’d seen the pyramids and the Sphinx in documentaries, movies and in books I wanted to travel there and see them in person. At Catholic grade school in the 1960s, my one and only Black male teacher, Mr. Rochelle, introduced his class to books by the Black historians, including J.A. Rogers, who wrote Great Black Men of Color. This book spoke of the Great Black Kings of Africa and their accomplishments. It also revealed to us that Egypt is in Africa, is the origin of western civilization and that the Pharaohs of ancient Egypt were actually Black. This information became even more interesting to me when I saw that in my grade school geography book that the country of Egypt (northeastern Africa) was absent from the map of Africa. The space where Egypt is supposed to be was blank. The country of Egypt was instead placed in a separate circle in the upper corner of the page with the words “middle east” written under it. What I learned in later years is that there has been a concerted effort on the part of western academia to take Egypt out of the context of Africa and to place it in the European/Middle Eastern area of civilization. DNA studies show conclusively that the original modern human beings emerged out of Africa over 3.5 million years ago. The people of India, who were originally an all-Black people called Dravidians, had DNA that originated in Ethiopia. Ethiopia is part of the African region called “Kush” that included ancient Egypt, Sudan and Ethiopia, all of which comprises a large chunk of Africa. In the book “Opening to Spirit”, author and Yoga master, Shola Arewa draws the connection between ancient Indian stories of the origin of humans on Mount Meru, with East Africa, where the actual mountain of Meru stands at over 15,000 feet in the shadow of Mount Kilimanjaro. Hatha and HetHeru There are many similarities between words in Sanskrit and the ancient Egyptian language as it relates to Yoga. For example, the word Hatha which designates the general system of Yoga and means “Moon” and “Sun”, similar to the ancient Egyptian word “Hathor”, which was originally pronounced “Het Heru” by the ancient Egyptians. Hathor or Het Heru is the goddess of the moon and sun. In ancient Egypt she was personified by a cow. Interestingly the cow is held sacred in Indian culture and is never killed. The Indian cow goddess Kamadhenu, like HetHeru, represents the sacred mother and fertility. At the age of 21, I made a conscious decision to completely leave the bad habits I had acquired growing up in the ghettoes of Chicago behind me. I stopped all drinking, smoking and the use of psychedelic drugs. As a child of the 60s I had learned to use drugs like marijuana and acid as a means of creating a transcendent consciousness. I also realized that even though these substances could be used to explore the mind that they often had negative impact on my health and wellbeing. Therefore, I decided that I would take up a vegan diet and use fasting, meditation and exercise (running and calisthenics) as my new path towards higher consciousness. About a year after embarking on this new path, I met someone who was into Yoga. After a great deal of hesitancy, I allowed myself to try out a Yoga class. After the first class with my one and only teacher, Dr. Asar Hapi of Chicago, a Black man, Naprapath and Chiropractor, I knew that I would make Yoga my life long path. Though I was very stiff at the beginning, I could feel the benefits; I felt relaxed and my energy improved. I learned that physical benefits of Yoga, such as flexibility, came as a consequence of practice. My teacher, Dr. Hapi, had already adopted an ancient Egyptian name. We both felt that Yoga probably came from Egypt but we did not have any particular proof. This changed when the King Tut exhibit came to Chicago in the mid-1970s. One of the artifacts that were found in the tomb of King Tut was a chair that contained a uniquely ancient Egyptian Yoga posture and various hieroglyphic inscriptions. The ancient Egyptian philosophical idea that the underlying nature of the universe is predicated on a discernable order that each individual person is obligated to strive for. According to Maat the true nature of everything is order, balance, harmony, justice and reciprocity. This principle of Maat and these attributes need to be exemplified in the way that we live our lives in order to transcend the limitation in consciousness that comes with identification with the temporal world of cause and effect. It is the over identification with the physical body and material world that gives rise to all of the problems that afflict humankind. A woman sitting on one folded leg with spine twisted and arms extended personifies Maat. The arms have wings attached which signify the ability to heal and for the spirit to take flight or rise metaphorically. Maat wears a feather on her head. In the ancient Egyptian funeral rites, the heart of the of the deceased person Wwas symbolically weighed: it had to be lighter than the feather in order for the person to achieve immortality. The Greeks called him Hermes but the ancient Egyptians called him Tehuti or Thoth. Thoth was the great spiritual teacher of ancient Egypt who was the inventor of writing, knowledge and wisdom. Hermetic philosophy speaks of methods of achieving immortality through the practice of techniques that allows the mind to disassociate with identification with the material world. This idea of disassociation and transcendence was referenced in all of the earliest Yogic writings from India. This process depended upon the practice of contemplation and meditation rather than the performance of hundreds or even thousands of Yoga postures that characterizes modern Yoga. Thoth delineated 7 primary principles that became the foundation of what was later to be called Hermetic philosophy and gave rise to Free Masonry, Theosophy and many other modern “new age” philosophical movements. The principle of polarity: everything is dual, everything has poles, everything has its pair of opposites, like and unlike are the same, opposites are identical in nature, but are different in degree, extremes meet, all truths are but half-truths, all paradoxes may be reconciled. The principle of cause and effect: every cause has an effect, every effect has a cause, everything happens according to law and chance is but a name for law not recognized, there are many planes of causation but nothing escapes the law. For those who are familiar with the philosophy of Yoga, the similarities with Maat and what is called Hermetic philosophy are intuitive. However, there are key differences in the approaches of Yoga as it was understood and practiced in ancient Egypt and India. 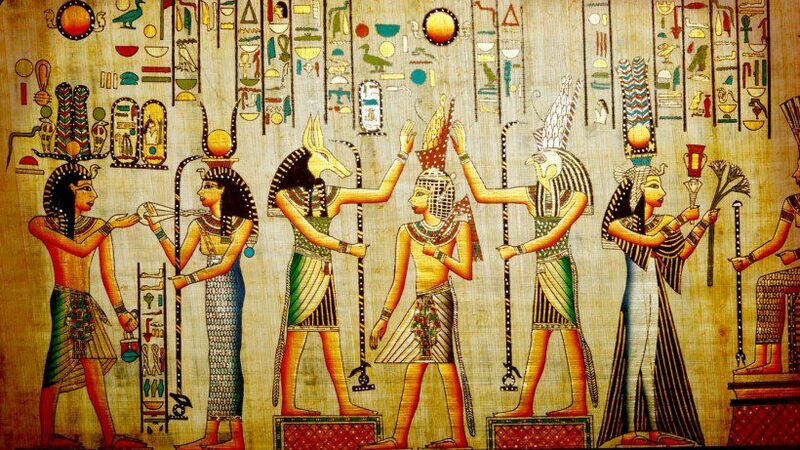 A fundamental aspect of ancient Egyptian spiritual science (which is identical across Africa) is the connection to ancestors. In ancient Egypt, which is properly called Kemet (Egypt is the Greek version of the word), connecting with the spirits of the ancestors through meditation, prayer and ritual is a pillar of Kemetic Yoga practice. The purpose of meditation is not only to transcend the boundaries of the material world but also to connect and communicate with the living spirits of those who have gone before us. About two years after I started my practice of Yoga with Dr. Hapi, he informed me that he was going to focus his attention on his healing practice and that I should continue to develop and teach the system of ancient Egyptian Yoga. Though I really only wanted to practice Yoga for my own development, I eventually started to teach it more regularly. I decided to use the term Kemetic Yoga because it is the correct Egyptian term. Over the years I have done more original research into the philosophy and practice of Kemetic Yoga through traveling to Egypt, studying ancient texts, deciphering symbols and introducing new movements and postures into the system. 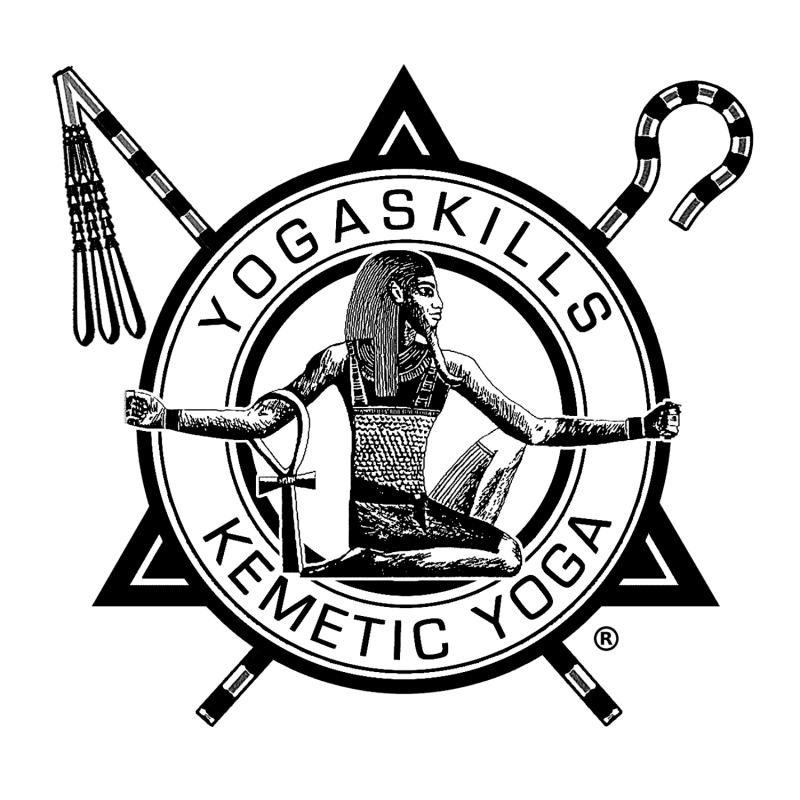 I have synthesized the practice of Kemetic Yoga into a system called the YogaSkills Method. YSM is based upon two concepts called Rule of Four Breathing (RFB) and Geometric Progression. RFB simply means that each breath should be mindfully divided into four parts: Inhalation, Pause, Exhalation, Pause. This is simply to allow the mind to stay focused and so that energy can move properly through the body. GP or Geometric Progression means that we are moving the body through postures in a manner that is consistent with physical and spiritual anatomy and that allows energy to flow through the channels (nadis).